Mark Johnson is a Program Manager and Principle Consultant at CardioMed Device Consultants. He has over 25 years of experience in the cardiovascular medical device business with in-depth knowledge in the fields of vascular intervention, structural heart, and cardiac rhythm management. His diverse background as an international technical executive includes leadership positions in Business Development, Program Management, Research & Development, Manufacturing, Clinical Studies, Regulatory Affairs, and Marketing. Mark has worked for Biotronik and Intel Digital Health corporations. 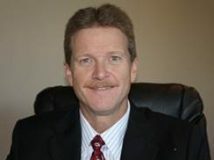 At Biotronik, Mark held multiple positions including Executive Director of Structural Heart and Program Director for Vascular Intervention United States. These duties included an 18 month expat assignment in Zurich, Switzerland. At Intel Corporation, Mark led efforts to evaluate Chronic Disease Management technologies in technical feasibility and clinical trials programs. This work included joint collaboration with the Mayo Clinic, Aetna Corporation, and the Centers for Medicare & Medicaid Services. As an engineer at Biotronik, Mark was instrumental in the development of the world’s first wireless remote monitoring systems for implantable pacemakers and defibrillators. Establishing a US business unit for Biotronik Inc. Vascular Intervention for both peripheral and coronary stents and ancillary products. Managing a multi-disciplined team of engineers and scientists to perform end-to-end design & development of a TAVR system culminating in CE Mark (forecast Q2, 2019). Program management for class III medical devices in the development, validation, clinical and regulatory work to achieve PMA approvals for multiple vascular stents (peripheral and coronary) including DES. One Humanitarian Device Exemption (HDE) approval for a covered stent technology. Execution of randomized control trials as the pivotal studies for PMA approval. This includes a 1,500 patient global RCT at 75 investigational centers for a world-class DES. Successful achievement of numerous PMA supplement and 510(k) approvals from FDA. Management of several large professional teams including 100+ person R&D organization, 25+ person Marketing group, and 15+ person Clinical Studies team. Developed a substantial network of Cardiology global Key Opinion Leaders.